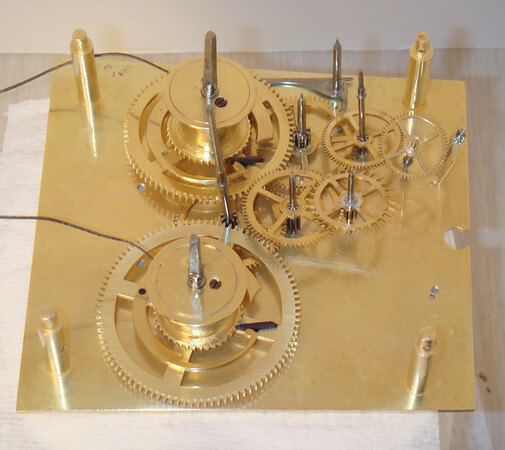 Mechanisms like this are so very gratifying to work on - the parts are all exceptionally well made, and the little problems created by time, and by previous repair folk who are not necessarily the best, well, the little problems were just that - small, and easily rectified. Like the pallets - grooved badly, but they cleaned up perfectly. The first shot shows how everything looked fresh out of the cleaning solution - for as filthy as it was it cleaned up very well. Check out the pictures - a very nice little mechanism!